The original post is below and also the original controversial video. Watching the full interviews are more informative so if you are time limited skip the write-up and the first video and watch the full interviews first. They can be found below the first video. The Executive Committee of Local 2926 invited the candidates to speak to their members. They video taped the interviews but refuse to release the full unedited versions. Instead they provide some snippets and added some commentary. I've linked to their post here so you can view it. Update: They responded timely and have now posted full versions of the challenger videos Update2: They have posted the incumbent videos as well. I've embedded them below also. In the video at 2 min 50 seconds you can hear Fire Fighter BC Kevin Foley make the statement that the lions share of the entire City Budget is made up from two departments and if you're going to cut you can't cut without touching police and fire. 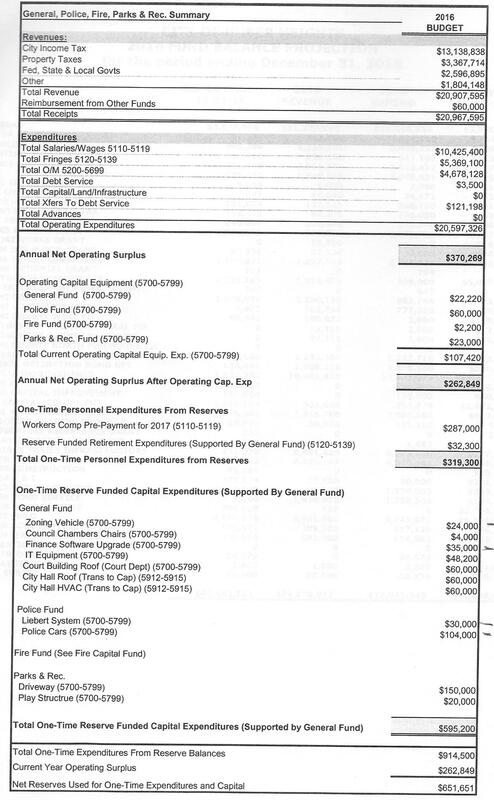 Below the video you can see that the total 2016 expenditures for the General, Police Fire, Parks & Rec which not only includes salaries for the police and fire departments but also the fringe benefits and debt service is $20,597,326. However, the total 2016 budget for the City is over $55 million (The total budget is about $77 million if you look at the figures presented by the finance department but this includes intra-city transfers which shouldn't count as money being spent by the city). The only people who would say that $20 million is close to $55 million are those people that are uninformed and willing to take at face value misinformation fed to them. And of course Mr. Foley and the rest of the Executive Committee probably would not say that $20 million is close to $55 million if they knew the numbers. But they did say it. And they did say it in good faith because they trust the untrustworthy. In just the past couple meetings the untrustworthy have tried to hide from us that the 2016 budget has a $651,651 deficit by calling it spending from carryover funds. On Sept 14, 2014 they passed a $2.9 million dollar budget for the Fire Station that included the cost of the land acquisition then tried to hide from you that the budget is now $3.1 million. The discussion on the inclusion of the property in the budget was clear. Last meeting instead of telling us that we could not build the fire station on $2.9 million but instead we needed $3.1 million they tried to tell us that they were double counting the property cost and told us that we should subtract that $192,000 from the budget. Despite the overwhelming evidence otherwise, the untrustworthy told us that they never meant to include the cost of the property in the budget for building the fire station. I highly recommend you watch the video produced by the uninformed then ask them to post the full unedited videos from the candidate interviews. That way you can make an informed decision. Update: I'd like to thank Local 2926 for making these available. 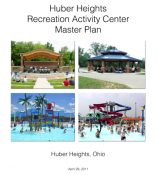 Make your comments through the Huber Heights Professional Firefighters Local 2926 Facebook page https://www.facebook.com/iaff2926 and in the comment section at the end of this post. This is the statement made by the Executive Committee introducing the video. "The following video portrays the poor ideologies of "Team Huber" and their misconceptions regarding a variety of topics within the city as it relates to the upcoming November election. 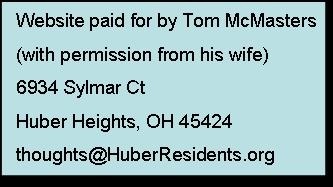 This video will explain why The Huber Heights Firefighters has endorsed the current incumbents in November's election. We hope you agree with our insight. Thank you." This is the unedited video of Mr. Otto from the Q&A session.The original video was broken down into segments in order to clearly explain the concerns for the members of Local 2926. This is the unedited version of Ms Vargo who has the support of local 2926. This is the unedited version for Mr. Shaw. The original video was broken down into segments in order to clearly explain issues concerned to the members of Local 2926. This is the unedited version of Mrs. Dale who has the support of local 2926. This is the unedited version for Mrs. Smith. The original video was broken down into segments in order to clearly explain the concerns of the members of Local 2926. This is the unedited version of Ms Kaleps who has the support of local 2926. This is the unedited version for Mr. Stan. The original video was broken down into segments in order to clearly explain the concerns by the members of Local 2926. This is the unedited version of Mr Lyons who has the support of local 2926. Ed Lyons - Thank you council for a billion dollars! How about Police and Fire services? Is it really realistic to ask for a levy that does no more than maintain the same as we have today? I don't think it is realistic to believe we won't have an increase in salaries for the next ten years. Especially, since we all know that there has to be additional fire services available for the north side of the city. Even if we don't ask for the money to pay for those now, we should have a plan that states when we believe we will be adding that fire station, how much money it will take to run and the way we think that money will be generated. That way if it turns out it will take an additional levy to pay for that plan, people know about it now and are not be surprised by it then. 4. If it turns out the income tax collections do contribute more than the rest of the city for police and fire services when are we going to show appreciation and start building the fire station that belongs up North? It wasn't until the 2025 plan in May of 2014 that the rest of Council picked up my call to build the Fire Station and then it was conditional on passing the levy. If I get time to do a more thorough search I'll bet I'll be able to find campaign references to the need to build as well. I expect calls before March might be within meeting minutes. If a .25% results in a $2 a week increase in taxes this equates to an additional $104 a year. This families total income would be $41,600 per year. With a total city income tax rate of 2.25% this calculates to $936 a year. To reply to an existing post use the reply/quote button under it. Type fresh posts here when not replying to any existing post. Make your post civil and relevant.